Stuttering can become a lifelong part of talking for some people. However, it does not have to interfere with your child’s ability to make friends, participate in the classroom, make good grades, form lasting relationships or achieve career goals. Deciding whether to take your child to speech therapy can be a difficult decision, however, many parents are concerned that taking a child to therapy will increase his or her awareness of the stuttering and thus have a negative effect; or they are unsure about the best time to start their child in therapy, especially when they get conflicting advice about whether to “wait and see” versus take action. Adding to the confusion, research suggests that as many as 70 percent of all children who start stuttering will outgrow it on their own with no speech therapy. But research also indicates that if a child has been stuttering longer than a year, the likelihood that he or she will outgrow it without any speech therapy is reduced. Making talking easier is achieved by learning speech tools. These tools help the speaker to produce speech in a different way, such as reducing the amount of tension in the speech system, beginning a sentence with more air or stuttering in an easier way. Developing healthier attitudes and feelings about talking is achieved by learning to respond to speaking situations with less anxiety, become more confident in the ability to use speech tools and use problem-solving skills for difficult speaking situations. Talking more fluently is only one part of being a good communicator. Learning to take turns, not interrupt, and using eye contact when speaking are also important communication skills. Sometimes, the harder one tries to use tools and be fluent, the more likely it is he will stutter. Again, it’s important to know that if stuttering happens, it’s OK, and you don’t have to be ashamed. Set aside a few minutes at a regular time each day when you can give your undivided attention to your child. During this time, let the child choose what he would like to do. Let him direct you in activities and decide himself whether to talk or not. When you talk during this special time, use slow, calm, and relaxed speech with plenty of pauses. This quiet, calm time can be a confidence-builder for younger children, letting them know that a parent enjoys their company. As the child gets older, it can be a time when the child feels comfortable talking about his feelings and experiences with a parent. Observe the way you interact with your child. Try to increase those times that give your child the message that you are listening to her and she has plenty of time to talk. Try to decrease criticisms, rapid speech patterns, interruptions and questions. Myth: Stuttering can be “caught” through imitation or by hearing another person stutter. Reality: You can’t “catch” stuttering. No one knows the exact causes of stuttering, but recent research indicates that family history (genetics), neuromuscular development and the child’s environment, including family dynamics, all play a role in the onset of stuttering. 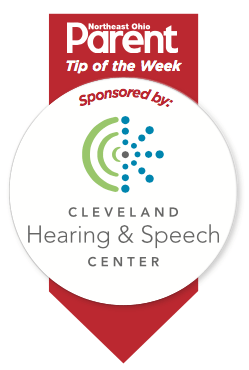 Call the Cleveland Hearing & Speech Center at 216-231-8787 for more information about stuttering, speech therapy, or to schedule an evaluation.